Defence Minister Nirmala Sitharaman Tuesday slammed Pakistan for seeking proof of its involvement in the Pulwama terror attack and said it was India which has been providing evidence but the neighbouring country has not taken any action on it. She was reacting to Pakistan Prime Minister Imran Khan's message to India to share 'actionable intelligence' if his country was involved in the terror attack for any action. "Since the Mumbai attacks, not just this government, the earlier government also had sent dossiers after dossiers, evidence after evidence, what action has Pakistan taken on them?" she asked. Also, at every level India has been following the process of law and the Mumbai attackers had been brought to book and punished by court of law, she told a press conference here. "In Pakistan not even the first court is doing its job. There is nothing for Pakistan to show," she added. Reacting to Khan's comments over the attack, Sitharaman said she would not want to say how the government was going to respond to it as no word is sufficient enough to assuage the anger and disappointment of every person of the country. Prime Minister Narendra Modi has already allowed the Indian Army to respond at any given time and as they see fit, Sitharaman said. 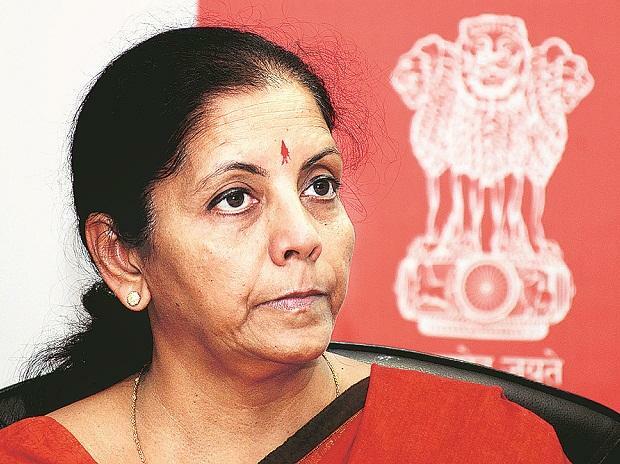 On the defence forces morale following the Pulwama terror attack, Sitharaman said "The morale is not affected at all, they are absolutely ready to do their job. The response the people of India have shown, has brought greater motivation to them," she said. Asked what the government is doing to avoid a repeat of Pulwama type attacks, Sitharamana said India was gathering more information to prevent any such incidents in future. "The security agencies are working tirelessly to gather more information from the ground. Every effort will be taken to prevent any future incidents such as Pulwama Terror attack," she said. India Tuesday rubbished Prime Minister Imran Khan's comments on the ghastly Pulwama attack, saying disclaiming Pakistan's link with terrorist attacks is an oft-repeated excuse by the "nerve centre" of terrorism. In a statement, the Ministry of External Affairs said India was not surprised that Khan refused to acknowledge the attack on India's security forces in Pulwama as an act of terrorism, adding his offer to investigate the attack if provided proof is a "lame excuse".